Tom Huseby, Venture Partner, has had a relationship with the Oak team since 1997, when he formed SeaPoint Ventures. 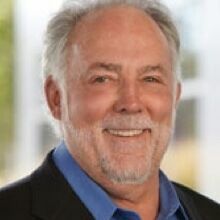 Prior to forming SeaPoint Ventures, Tom co-founded and was the first CEO of Metawave Communications Corporation, a manufacturer of cellular infrastructure equipment and an Oak Portfolio company. Tom Huseby is currently Chairman of the Board of Zumobi, PhotoBucket, Airspan, Mojix, Glympse, and autoGraph. He is past chairman of Qpass, SNAPin Software, and Telecom Transport Management and past board member of Tegic. Tom has a BA and a BSIE from Columbia University, and an MBA from Stanford University.